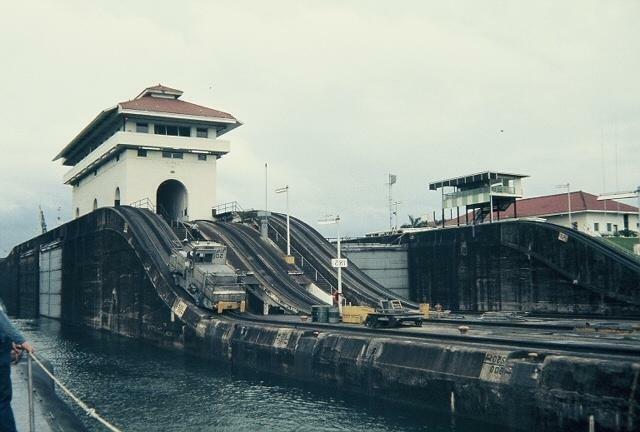 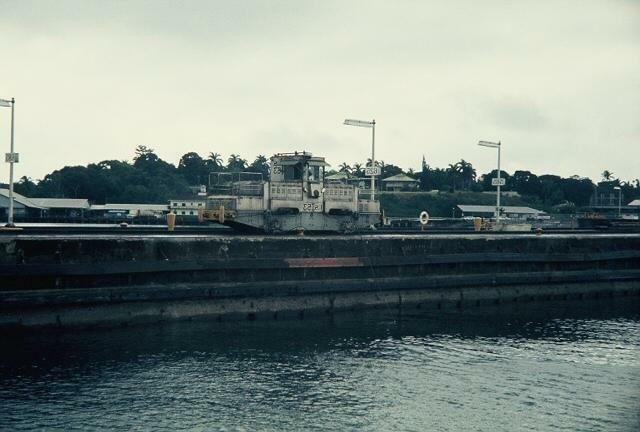 The Key passed through the Panama Canal three times during its lifespan. 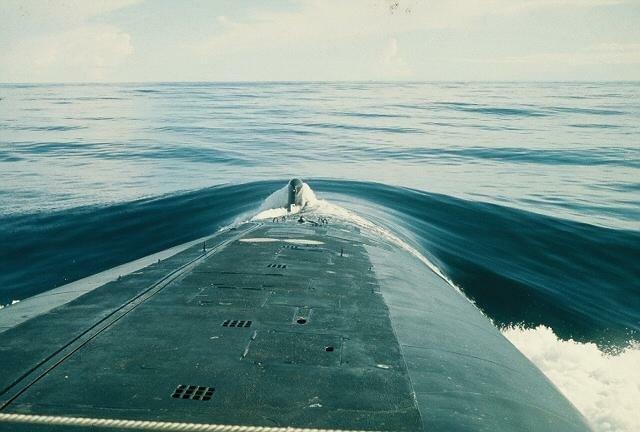 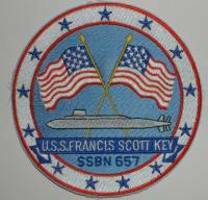 The first time was in February 1972 on its way to Bremerton Washington, Puget Sound Naval Shipyard for its first overhaul and conversion from Polaris to Poseidon missile systems. 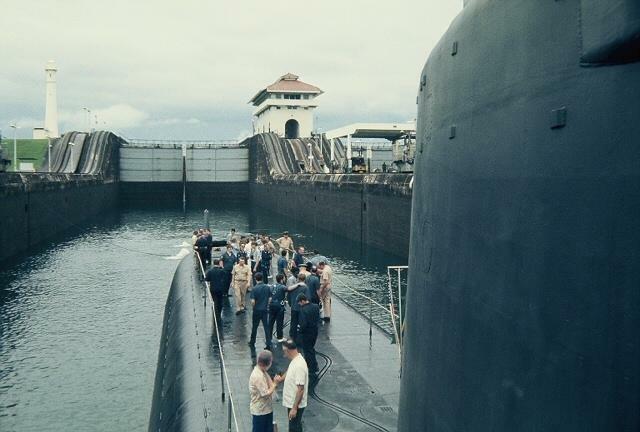 The second trip was about 14 months later on its return trip from Bremerton to its eventual home port of Charleston, SC. 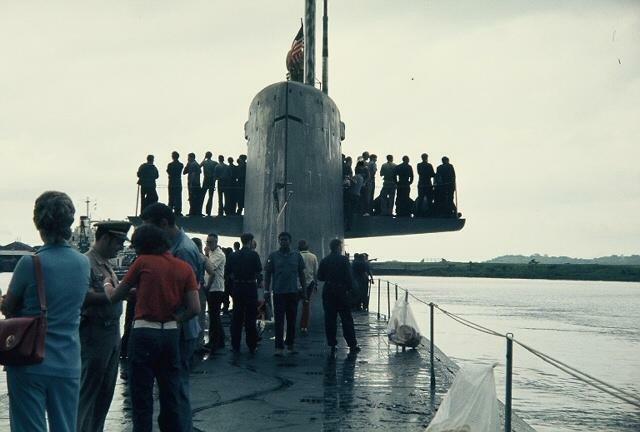 It first went to Portsmouth, NH shipyard for post overhaul outfitting. 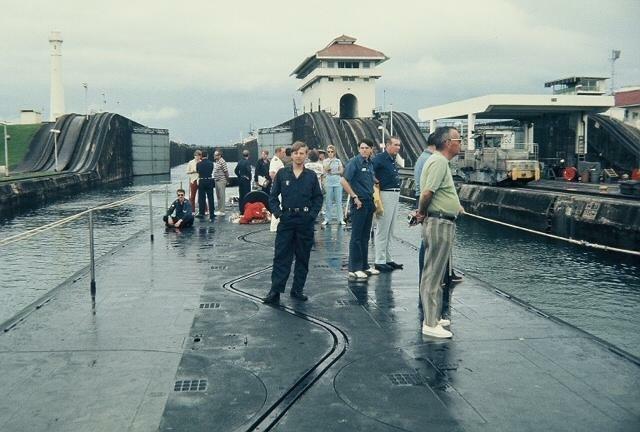 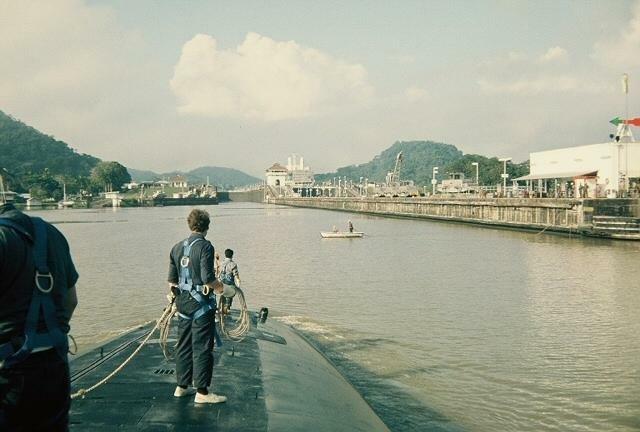 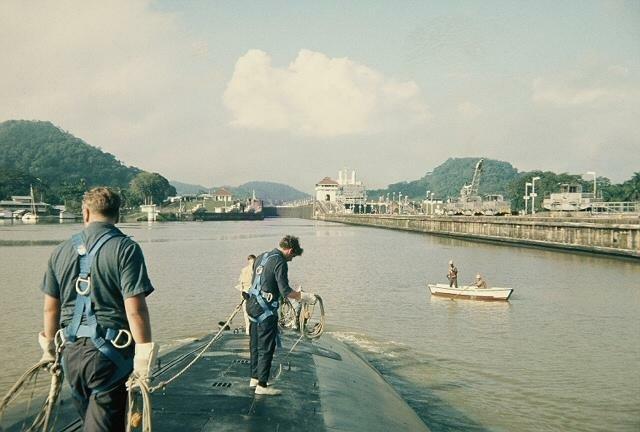 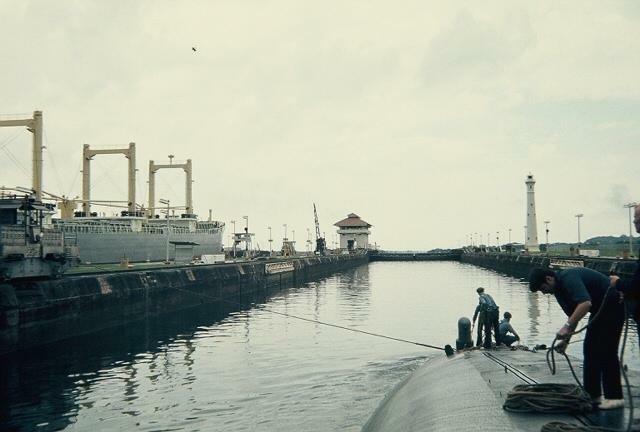 The third trip through the Canal was in 1992 on her way to Pearl Harbor and her decommissioning from active service. 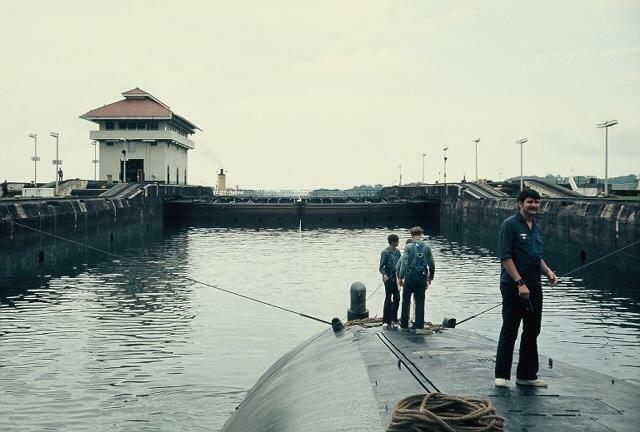 Below you will see a collection of pictures from the various trips and links to stories or events that took place at those times. 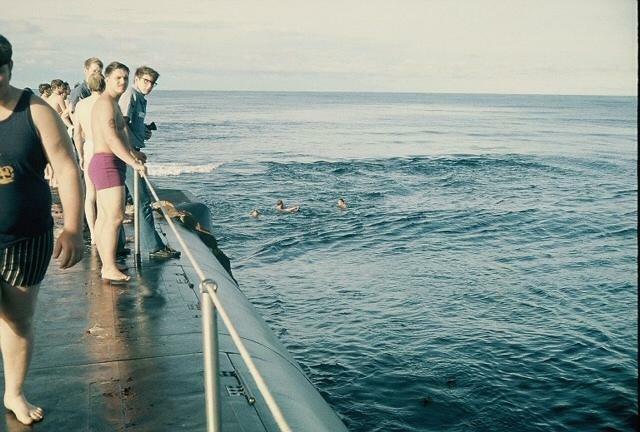 The pictures are thumbnails so click on them for full size images. 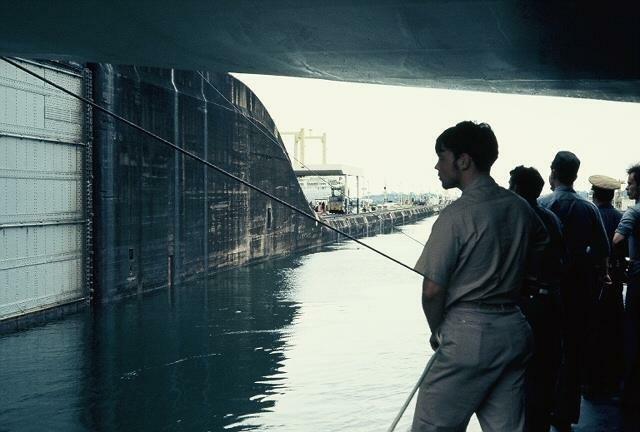 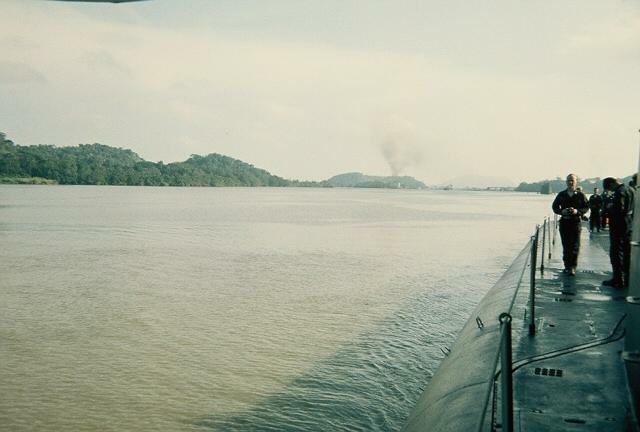 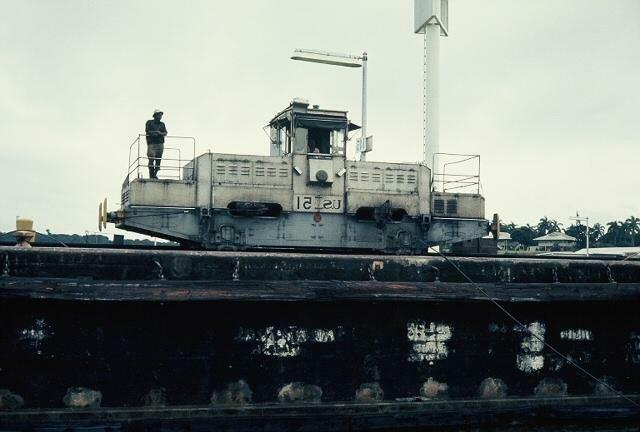 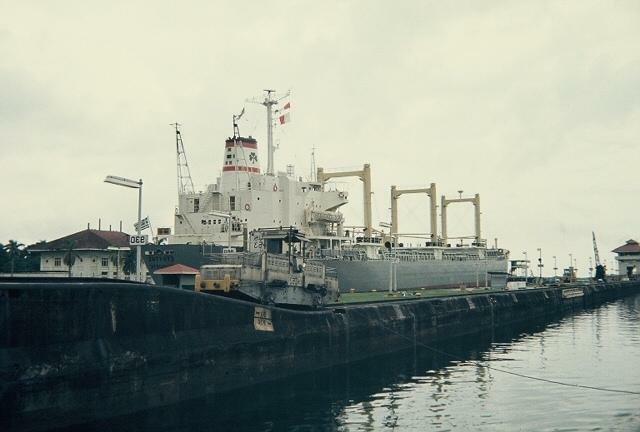 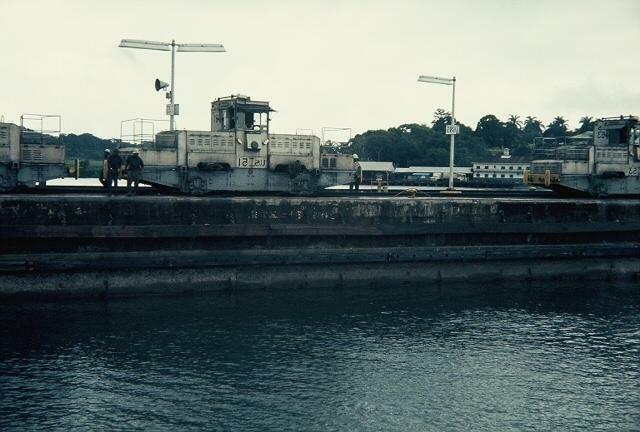 Panama Canal transit 1972. 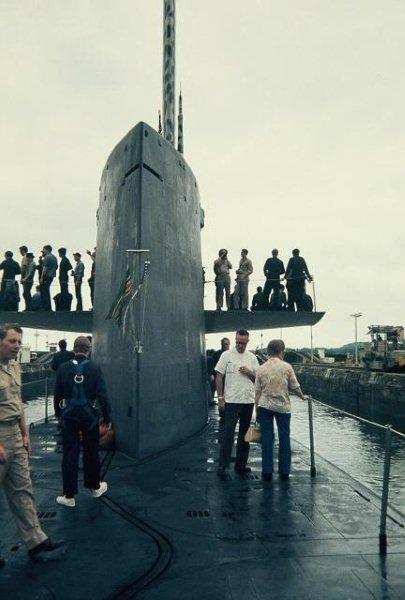 USS Edison is in the background. 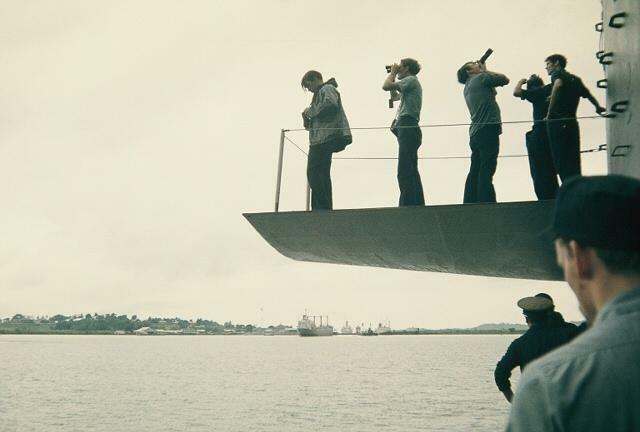 They made us clear the decks for the picture. 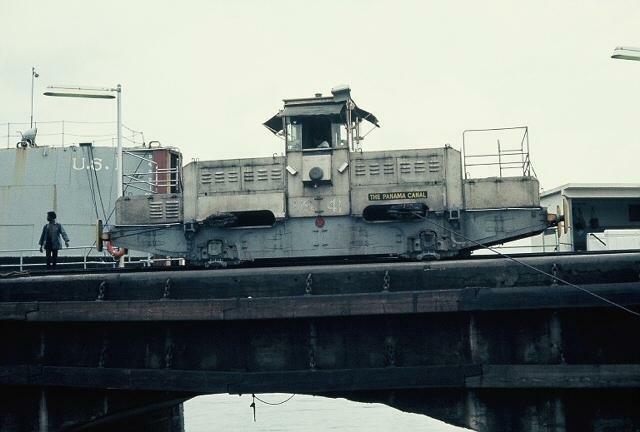 Someone forgot to tell the Edison crew. 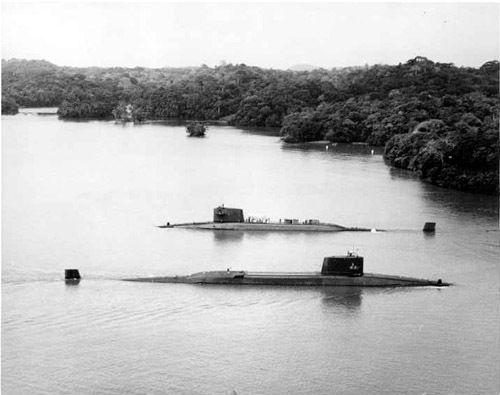 This picture is in the 1974/75 edition of Jane's Fighting Ships. 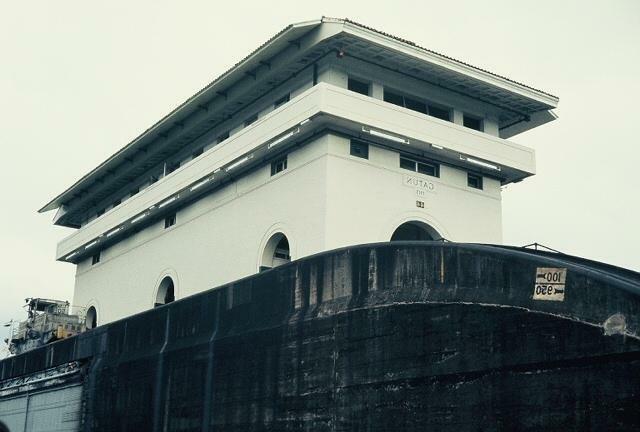 With that many lookouts, how we'd get stuck in this damn ditch? 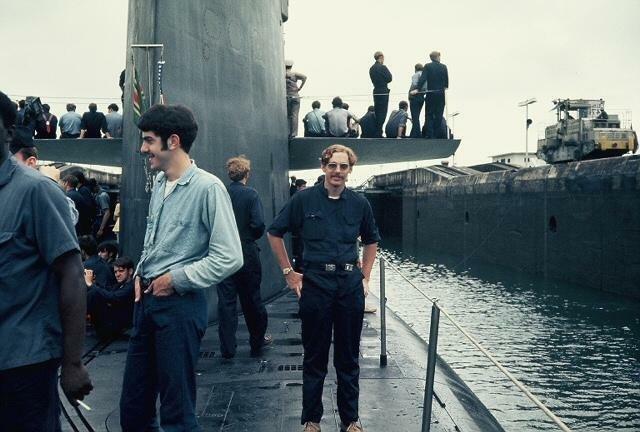 Brian Bigon facing the camera and Gerald Goodale in profile. 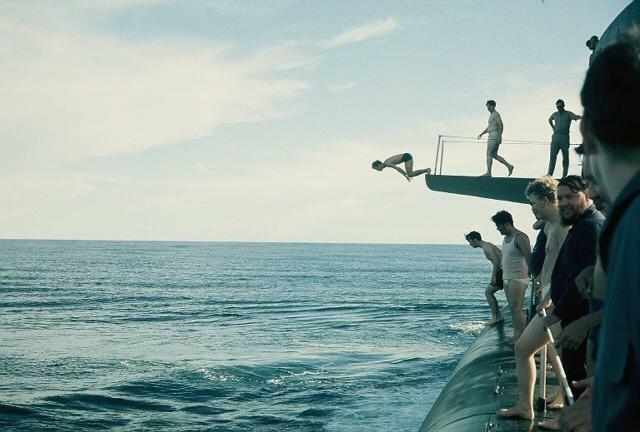 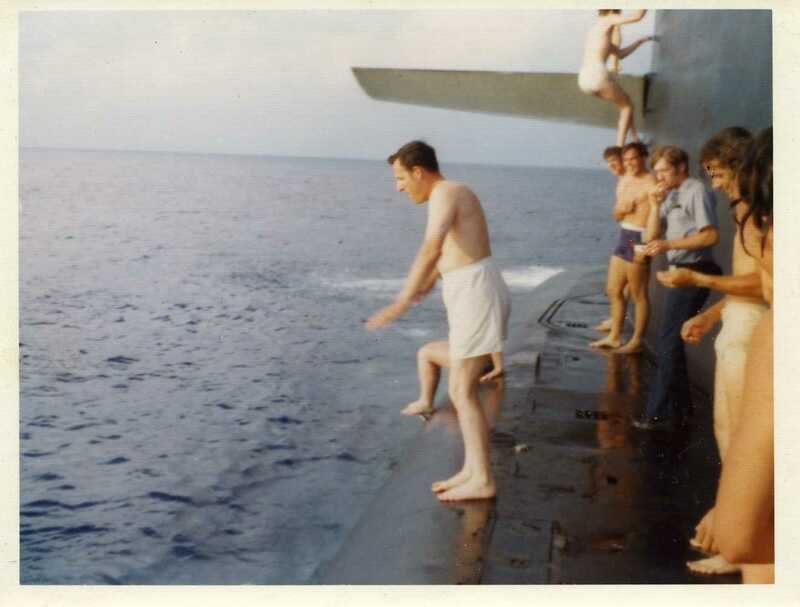 Capt Bump taking the plunge during swim call in 1972. 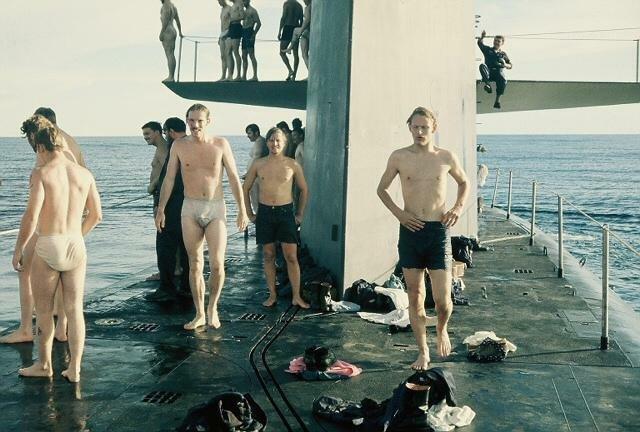 We had a swim call in the Pacific, then once through the Canal, again in the Atlantic.